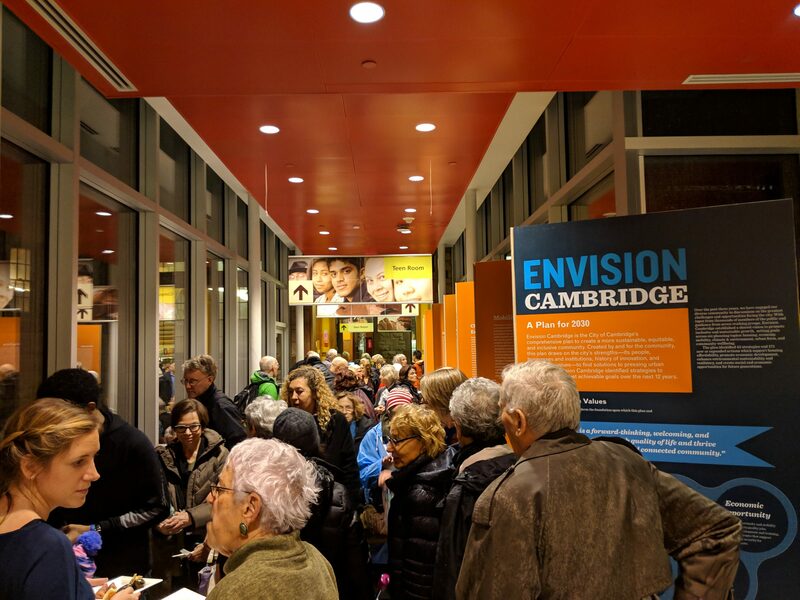 Utile and the City of Cambridge celebrated the completion of the Envision Cambridge process last night at the main branch of the Cambridge Public Library, joined by a packed room of community members, many of whom have helped to shape the plan over the last few years. 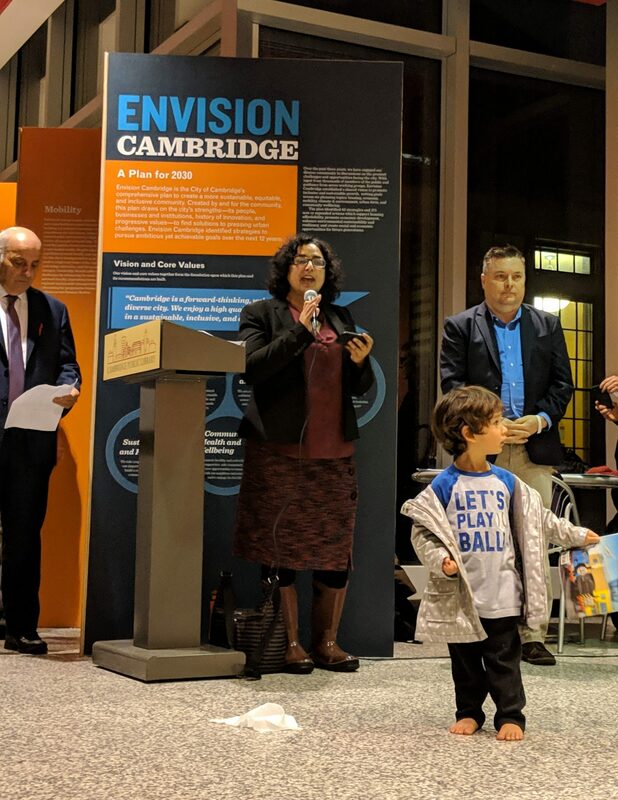 These voices from the Cambridge community have informed the strategies for making Cambridge more livable, sustainable, and equitable. 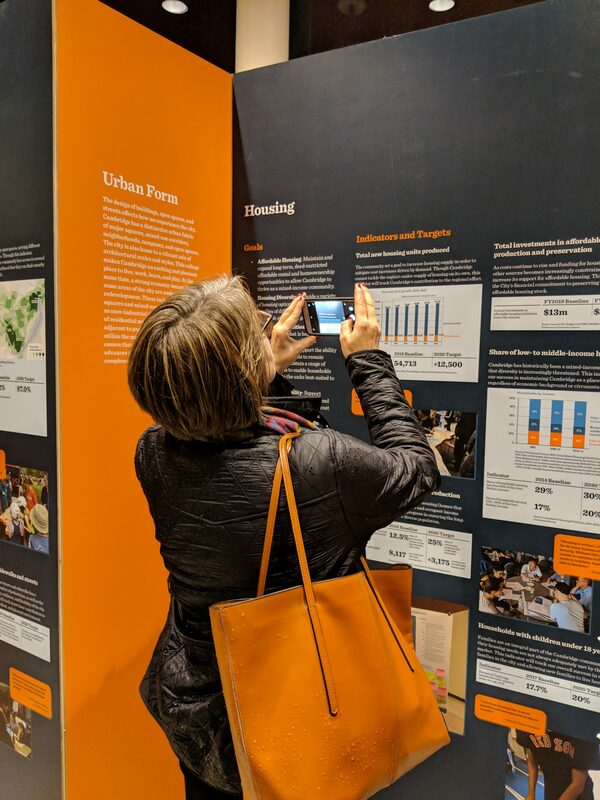 The city’s new master plan was highlighted through an exhibition of the final goals and targets from the citywide planning process, and the exhibition will soon be returning to City Hall where it can be viewed by the public for the next two weeks. 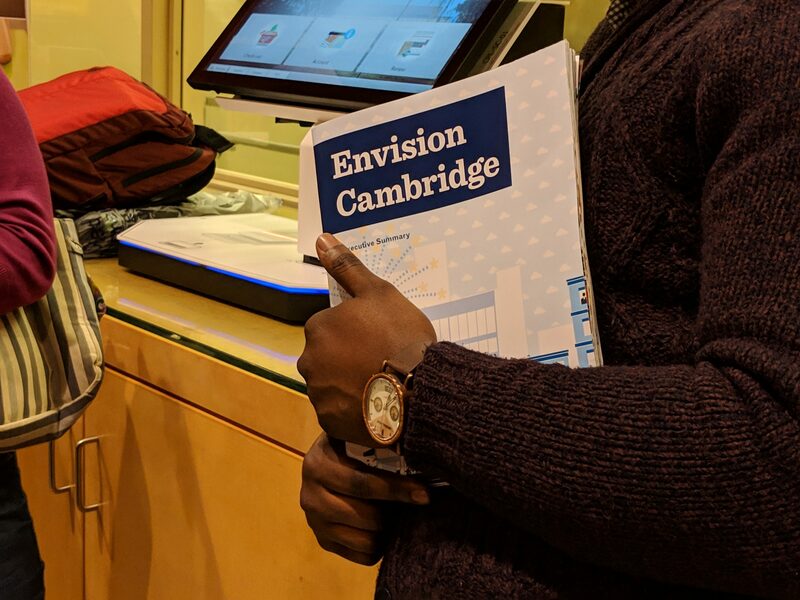 Copies of the Executive Summary were available at last night’s event, and the full plan is expected to be released in February. 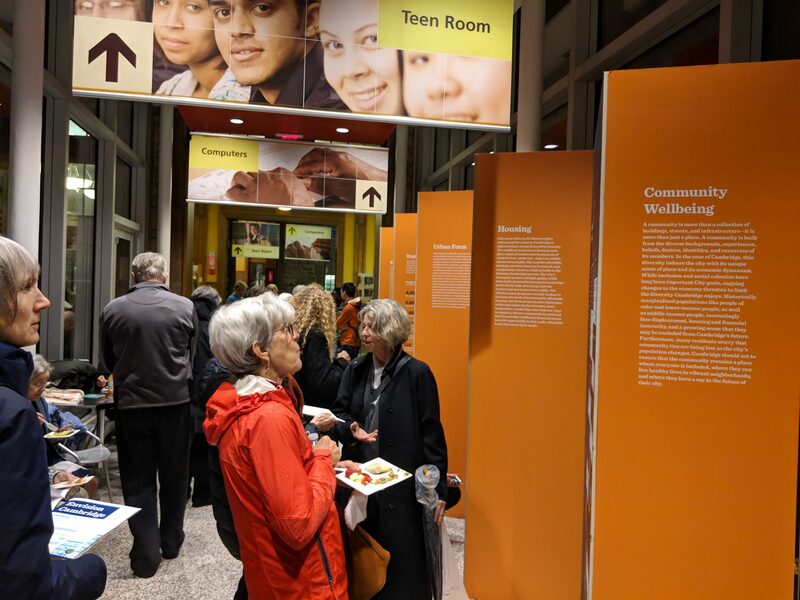 The project has been led by Utile with an interdisciplinary team of collaborators; exhibit design by Interboro Partners. 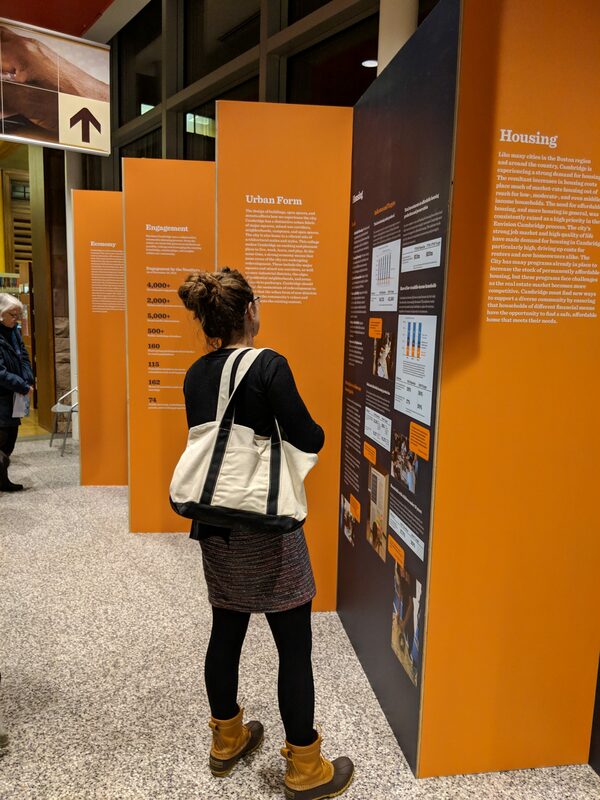 Congrats to Cory Berg, Utile's newest certified planner!